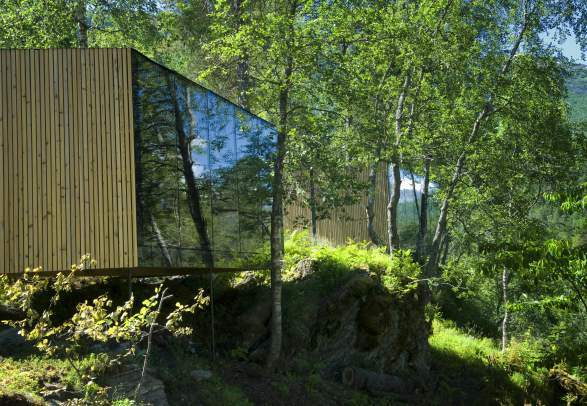 Norway is best known for its nature, but visitors who are hooked on architecture will find equally stunning attractions. 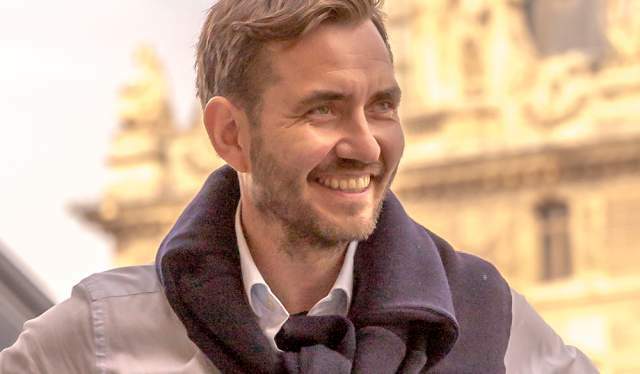 The tips below, chosen by recognised architect Espen Surnevik, take you to architectural masterpieces in places that also offer plenty of recreational activities. One of Surnevik’s own works – the Våler church – was awarded best religious building by Archmarathon in 2016. 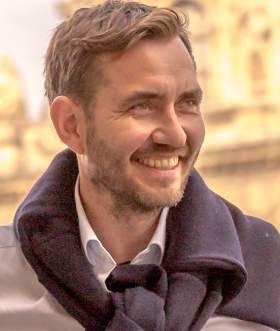 His firm keeps winning competitions for its constructions around Norway and has gained international acclaim for its ability to combine practicality with poetry. Start in Oslo where you can get to know the impressive city hall, a clear landmark in the capital situated by the harbour. The interior walls are extensively decorated with art from 1900 to 1950, representing Norwegian daily life and work. The construction began in 1931 under the supervision of architects Arnstein Arneberg and Magnus Poulsson. The project was put on hold during the Second World War and the city hall finally opened in 1950. Go by car to Våler in Solør, where the freshly built, prize-winning church drawn by Espen Surnevik has replaced the old church that burned down. The interior displays an intricate play with light. If you have extra time, this part of Norway offers non-stop sports activities all year. Your next stop is Lillehammer and Bjerkebæk, the home of author Sigrid Undset (1882–1949) who was awarded the Nobel Prize in Literature in 1928. 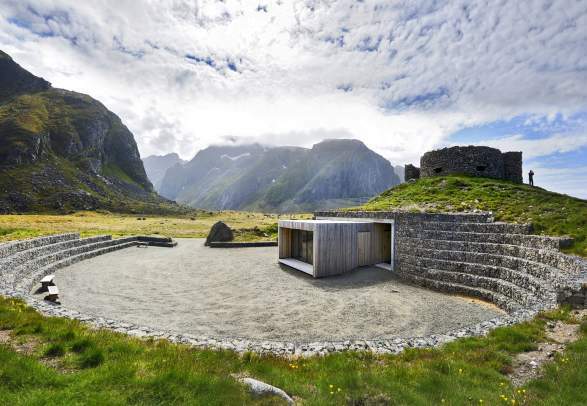 The visitor centre’s distinctive architecture was created by Carl-Viggo Hølmebakk AS. It opened in 2007, on the same date that Undset was born 125 years before. Of course, this former Olympic City (1994 Winter Games) has numerous other activities for the outdoor-minded. 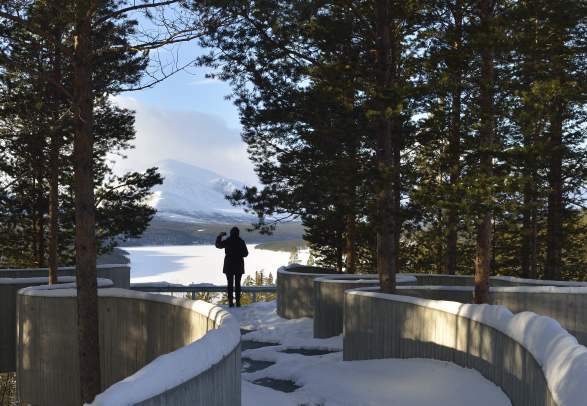 Continue towards Sohlbergplassen, a constructed viewpoint above the Atnsjøen lake by the Rondane national park. 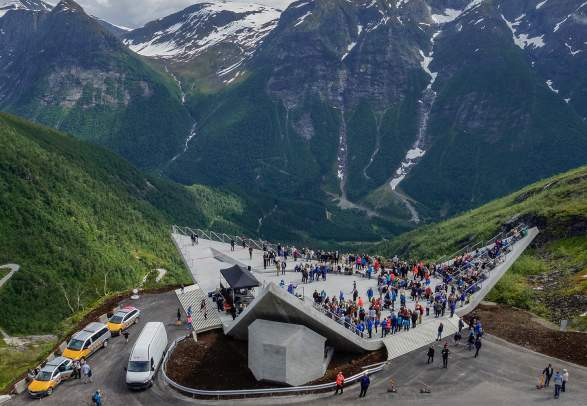 The lookout point, which is part of the Norwegian Scenic Routes project, was drawn by the architecture firm Carl-Viggo Hølmebakk. The view towards Rondane is the same as in Harald Sohlberg’s renowned painting “Winter Night in the Mountains”. Spend the night after day two in Alvdal and start day three at Aukrustsenteret. This entertainment park is an homage to the late Kjell Aukrust, one of Norway’s favourite authors, known for his juicy, humorous descriptions of people and life in rural Norway. The visitor centre is a masterpiece by the internationally acclaimed architect Sverre Fehn. Juvet Landscape Hotel is located at the entrance to western Norwegian fjords that were included on UNESCO’s World Heritage List in 2005. The architecture firm behind the hotel is Jensen & Skodvin who based their work around the idea of avoiding unnecessary intervention in the nature. The hotel opened its doors in 2010 and quickly became a popular destination, so remember to book well in advance to enjoy this one-of-a-kind accommodation option. Start the day visiting the Norwegian Glacier Museum in Fjærland. The architect behind this glacier-inspired building is Sverre Fehn, who won the Pritzker award in 1997. The museum has a comprehensive collection of information about the peculiar material the glaciers are made of, as well as entertaining exhibitions that reveal the secrets of the eternal ice. If you are going to see just one of Norway’s 30 remaining stave churches, make it Urnes. It is believed to be the oldest of the characteristic wooden churches, and the decorations are supposed to illustrate a link between the Viking Period and the Christian era. UNESCO has listed the Urnes stave church as a World Heritage Site. From one historical site to another: Bryggen in Bergen. This row of former depots with origins from the 14th century is a wharf (“Brygge” in Norwegian) in Hanseatic style. The buildings are brimming with history, but there is also room for a variety of shops, pubs and restaurants. Bryggen is listed by UNESCO as a World Heritage Site. Norway’s second most important city also offers top restaurants and entertaining. Tyssedal power station, a hydroelectric power station in Odda, has been running since 1906 and houses an extensive museum for those interested in the history of architecture and industry. The Norwegian Directorate for Cultural Heritage has officially taken the site under its wings. Architect: Thorvald Astrup. Historically strong hiking tourism ensures good possibilities for accommodation and food services. Rjukan’s industrial heritage site is a historical surprise right in the middle of wild nature. Rjukan means “smokey waterfall”, and the local 100-metre-high waterfall played the leading role in an industrial adventure that made a mark on Norway’s history in general and events during the Second World War in particular. There are many sites to visit, amongst them Vemork, which was the world’s largest power plant when it went operative in 1934. If you have time, combine this with a hike in the mountains only a few minutes’ drive from the Rjukan city centre. Rjukan’s industrial heritage site is a historical surprise right in the middle of wild nature. Rjukan means “smokey waterfall”, and the local 328-feet-high waterfall played the leading role in an industrial adventure that made a mark on Norway’s history in general and events during the Second World War in particular. There are many sites to visit, amongst them Vemork, which was the world’s largest power plant when it went operative in 1934. If you have time, combine this with a hike in the mountains only a few minutes’ drive from the Rjukan city centre. Whether you choose to spend the night or decide to go straight back to the base of Oslo, it’s not bad to have seen the highlights of Norwegian architecture of the past thousand years in just one week. Hans Petter Smeby, the brain behind Norway’s streetwise architecture and design magazine Nytt rom, shares his personal tips for exciting architecture off the beaten track.